Last week was Georgette Heyer week over at Vuples Libris. 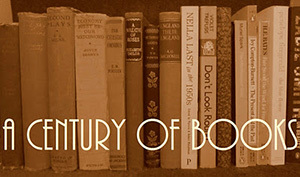 The Book Foxes mused on The Talisman Ring, Faro’s Daughter, Black Sheep, Regency Buck, and An Infamous Army. Now, I class Heyer alongside Austen and Trollope as one of those authors who I never tire of and who I am always delighted to see discussed on book blogs, so nothing could have been more delightful to me than these posts. It wasn’t long (I made it until Tuesday night) before I was reaching into my own extensive Heyer collection. After a bit of a struggle, I settled on one of the few Heyer books I still had left unread: Devil’s Cub. The hero of Devil’s Cub is Dominic Alastair, the twenty-four year old Marquis of Vidal. He is handsome, noble, rich, and entirely reckless. In the opening scene, he shoots and kills a footpad who was attempting to rob him while enroute to a party. Leaving the corpse by the side of the road, Vidal continues on as though nothing of note had happened. This is, we soon learn, not his first murder. But what can you expect of the son of the Duke of Avon, a man once known as Satanas? I had held off reading this book for years because I knew it was the sequel to These Old Shades. I hate These Old Shades. It was one of the first Heyer novels I read, if not in fact the first, and it almost put me off her for life. It had cross-dressing, one of the most irritating heroines of all time, and a plot that requires the reader to suspend all logic. It was one of her earlier efforts and it shows, particularly in the less-than-polished dialogue and, for Heyer, rather sloppy structure. So, logically enough, I was not particularly eager to read a book about the next generation of this family. Vidal, while not quite as corrupt as his father was or quite as reckless as his mother, is still very recognizably their child. But, with a few years more experience as a novelist, I think Heyer brings this book off much better than These Old Shades. After a drunken duel, Vidal is confronted by his father, the Duke of Avon. With the other duellist lying gravely injured at death’s door, Vidal could soon be responsible for a third death. The first could be excused as inconvenient and the second as self-defense against a criminal, but a third murder becomes awkward. While there is little question of Vidal facing any legal ramifications for his actions – there are advantages to being a Duke’s son – his father demands that he leave the country. Vidal agrees but decides that he might as well bring along the young woman he has been attempting to seduce – an association his family decidedly disapproves of. It is fine to dally with the lower classes and have affairs among the upper echelons of society, but a bourgeois who might expect marriage is quite another thing altogether. And Vidal certainly has no intention of marriage where this woman is concerned. Here is where our heroine intrudes: having discovered Vidal’s intention to abscond with her silly sister, and knowing he has no intentions of marrying her, Mary Challoner decides to play a trick on the Marquis. Except it backfires entirely and soon she finds herself in France with Vidal. Mary had intended to save her sister’s virtue; instead, she finds herself compromised. But Mary, well-educated, well-mannered and quick witted, is a very different creature from her sister. While Vidal would not have quibbled to seduce and abandon her sister, he sees how impossible that would be in Mary’s case. And then, naturally, he decides he must marry her. It appears there are some morals hidden within his character after all. But Mary, despite having discovered to her own surprise that she has been half in love with Vidal for some time, does not want to be forced into a marriage with him. What follows is a typical Heyer chase, with Vidal chasing Mary, Vidal’s mother (Leonie) and Uncle Rupert chasing him, and the Duke of Avon calmly wandering along behind them all, ready to patch up the mess that they will inevitably make of everything. There are many familiar figures from These Old Shades. Leonie, still outrageous though now in her forties, is an adoring and indulgent mother to her reckless son and, most irritatingly, still seems a bit in awe of her husband. Rather than discuss Vidal’s predicament with Avon, she decides to sneak away (aided, unwillingly, by her brother-in-law Rupert) and track down her son herself. Because that is exactly what Leonie would do. We hear rather less of how Avon feels about his wife, but any sensible person would have been driven completely mad after a couple of decades of Leonie’s devotion and rollercoaster emotions. To shoot a man dead: it is terrible, you say. For you could not do it. You could not shoot an elephant dead. To elope with a woman: it is scandalous! Bien entendu, but you, you could not persuade even a blind woman to elope with you, which I find not scandalous, but tragic. The supporting characters – largely members of the Alastair family – are excellent and, rather to my surprise, I enjoyed being reunited with some of them. I even enjoyed seeing Avon again, which I certainly didn’t expect. The tête-à-tête between him and Mary towards the end of the novel is one of the best scenes in the entire book. I think I have learned an important lesson, which is that the Alastair family improves with age. I’m not sure I’ll ever like These Old Shades but Devil’s Cub won me over by the end. I’m now feeling the itch to reread An Infamous Army, which marks the third and final appearance of the Alastair family. Devil’s Club was one of the Heyers I’ve never heard anything before, so thanks for the review! Sounds like this Alistair family has quite a few rogues. I believe I read Devil’s Cub before These Old Shades. I liked enough for it to instill in me some tolerance for the earlier book, though it will never be one of my favorites. Thanks for pointing out the week at Vulpes Libris — I missed that somehow! I love Devil’s Cub and merely like These Old Shades. It’s not my least favorite Heyer by any means, but, it will never be my favorite-and-best Heyer either. I have been contemplating The Unknown Ajax. I see Darlene posted about it earlier today. The Alastair trilogy are among my least favorite of Heyer’s books. But I keep a copy of Devil’s Cub just for the scene where Mary meets Avon in the inn. I do have a soft spot for Rupert, both in These Old Shades and in this one. 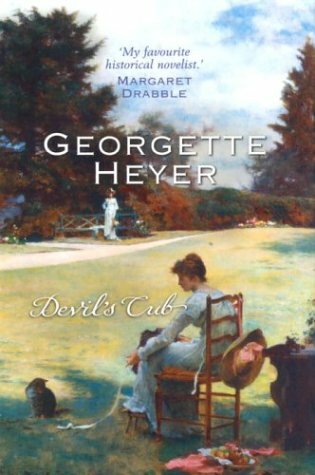 In contrast to everyone else, Devils Cub was the first Georgette Heyer I ever read and nothing has ever lived up to it. Miss Mary Challoner is fab!! I love it when VIdal is about to attempt his wicked way and she asks him to pass her a bowl as she is about to be ‘extremely unwell’. I loved this one but then I love them all. One of my favourites – and I too read it before These Old Shades, Jane Branfield! I’m not irritated by Leonie, although I agree the plot of the first book is ludicrous (that distinctive red hair!). Must go back to An Infamous Army now. I’ve tried this one, These Old Shades and some other and decided that Heyer is just not for me, no matter if it looked in theory like a match made in heaven. There is something about the way she approaches class and “blue-blood” that get the Republican in me (as in non-Monarchist) boiled up.